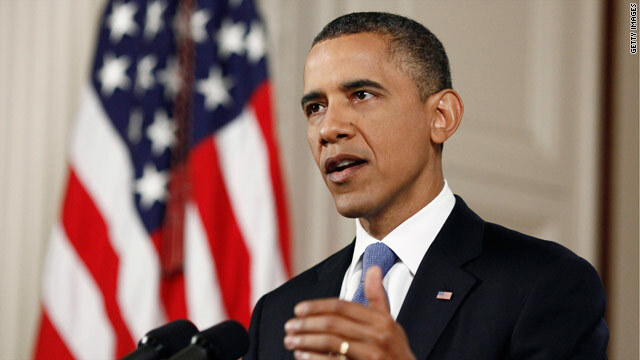 (CNN) - President Barack Obama's re-election campaign spent more money than it raised last month. His team took in $49.2 million in July but spent $59 million, according to the campaign's monthly filing with the Federal Election Commission released Monday. The campaign reported finishing the month with $87.7 million in the bank, down from $97.7 million at the beginning of July. Reports also show that when combining the Obama campaign's haul with that of the Obama Victory Fund and the Democratic National Committee, the Obama re-election effort had considerably less money in the bank–about $124 million–than Mitt Romney's campaign and allies by the end of July. While Romney's filing for last month has yet to be published, the campaign announced earlier in August that its campaign–plus the Romney Victory Fund and Republican National Committee–had $185.9 million in the bank. Team Obama spent significant amounts on ad buys last month, while Romney is unable to tap into large portions of his funds until he becomes the official nominee in late August–two reasons that could contribute to the spending gap. The figures come as both candidate head in the final three months of the presidential race. Obama repeatedly says he expects to be out-spent by Republicans this election year. Overall this cycle, however, Team Obama had outspent Team Romney–$153.6 million to Romney's $106.5 million–as of the end of June. But RNC Chair Reince Priebus predicted earlier this month the tables would soon turn in the race, saying Americans can expect to see a lot more of Romney due to recent fund-raising hauls. "We now are in a position to oustpend (President Barack Obama's re-election effort) on television and tell our story and tell the Mitt Romney story, starting with our convention and going through the fall," Reince Priebus said on CNN's "Starting Point." Same way he runs the country. Why should anybody wonder that Mitt is spending more money than Obama.. The millionaires who are paying less on tax like Mitt have more money to give one their own than Obama middle class followers.But guess what issue and personality win election and not money. Come to Georgia and ask former governor of the state Roy Barnes. Obama is in the Red $9.80 million dollars, this is not any different than the way he's running the country. He's thrown the country into debt and the debt keeps getting bigger because Obama keeps spending, just like his campaign. Spending more money than he's bringing in. Remember, one man said he would give Romney $100 million. In addition, another 10 have promised to raise another $100 million. That's 11 billionaires spending $200 million to buy an election so their taxes will be lowered while the rest of us lare forced to pay thousands more in fees. Governor Romney even raised fees on hunters. Ryan's plan lowers Romney's 2010 tax rate from 13.9% to 1%. Mental illness is the main health problem in this country. The GOP proves this to be true. It looks a though Obama is running his campaign with the same inept economic judgement that he is using to run, or rather ruin the U.S. economy. let obama live the set is not for only him,let try another person in a separate former is important to do that which I find the most tin the world should luke into at this moment . Romney , the worst president money can buy , I forgot about GW Bush. Come on wealthy Democrats. Do you really want Romney/Ryan right wing policies? Do you want them to appoint the next Supreme Coiurt justices? Do you want them to continue to oppose women, gay, and immigration rights? To take this country back to the 50's? You may be disappointed in Obama but this is the time for all of us to give before Romney and his rich friends buy this presidency. The funds are gone when the party is done. Hard to compete with big corporations and billionaire's donations. The rich guys can now buy elections. That's good for America, right? It is interesting how the GOP media has been putting fear into their based with slogans like "The Obama war chest will top $1 billion." Anyone over the age of 25 knows the GOP always out raise and out spend the Democrats. "The Obama war chest will top $1 billion." is text book propaganda for conservatives. They know that if you repeat it enough the base will believe it to be true. Obama is so dangerous this time. Romney has advantages in more aspects. What a waste of money... All that money could most certainly be put to much better use. Trust me, that won't even make a dent in his campaign funds 10M is nothing to Obama and Romney. Just because Romney have raised more money doesn't mean that he is going to win. There have been times where someone has spent more money than an opponent and lost. It will be like that again this election.